Both street view and northern facing options available. Includes heat, water and electricity. Contact now for a showing! Welcome to Heritage Place, conveniently located in Calgary, Alberta. 820 5 Ave SW.. A family building, our one & two bedroom apartments come with fridge, stove, dishwasher, and a large in-suite storage room. 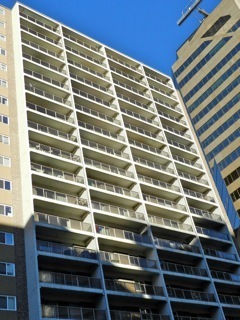 South and north-facing suites have large balconies. Some units offer mountain views. Garbage chutes on every floor and large modern laundry room onsite. One-bedroom suites are approximately 700 square feet.-- Two bedroom suites are approximately 1000 square feet. Parking is Available at $100.00 a month. Online Applications on available suites, contact for a showing.